Volks YoSD Pinoko Fullset - Tiny Dolls (39cm & Smaller) - Ball Jointed Doll (BJD) Sales at Resin Market: Sell / Buy BJDs and BJD Accessories! 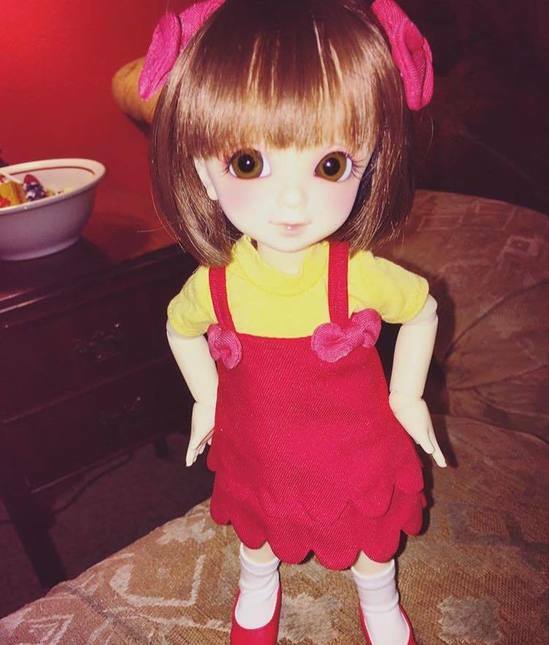 I have the Blackjack YOSD Pinoko fullset up for sale! I am the first owner. 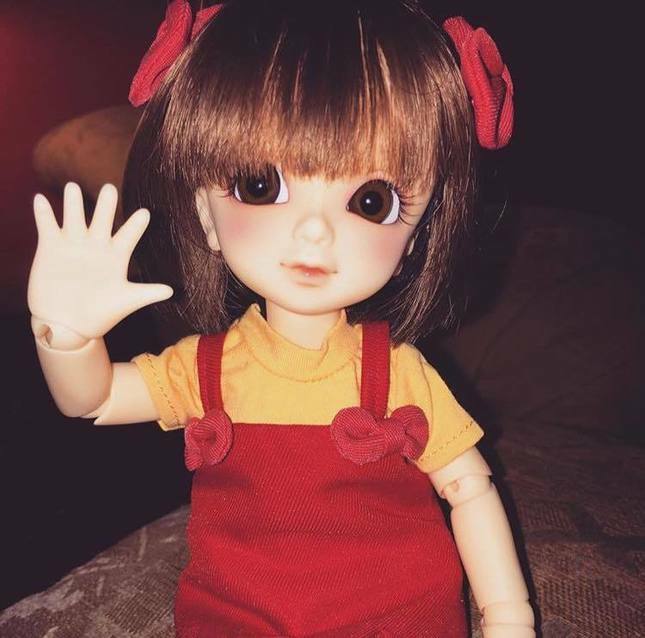 She comes with her default faceup, eyes, wig, outfit, shoes, bows, and box! Price does not include shipping. PayPal only, SHORT layaway accepted, no trades. I do have cats but they stay away from my dolls. Shipping is typically done on weekends. I am willing to discuss layaway options, but I will not do anything over 6 months. I prefer US buyers simply because international is always risky, but if a buyer is willing to accept the shipping price, then all is well! I have two cats who stay away from the dolls but cat hair does tend to float around and pieces could wind up on the dolls. But I always try to dust off and ready my dolls for shipment. E-Checks are NOT accepted. At this time, trades are on a case by case basis but for the most part I prefer not to trade.